How popular were slot cars in America? Then in 1960, the British company Playcraft Model Motoring had a slot car display at a London toy show. Representatives from Aurora, an American company that specialized in scale model kits, snatched up the American marketing rights for Playcraft’s slots. Within five years, Aurora had sold 25 million slot cars to eager kids, becoming the most successful line of slot cars in history. 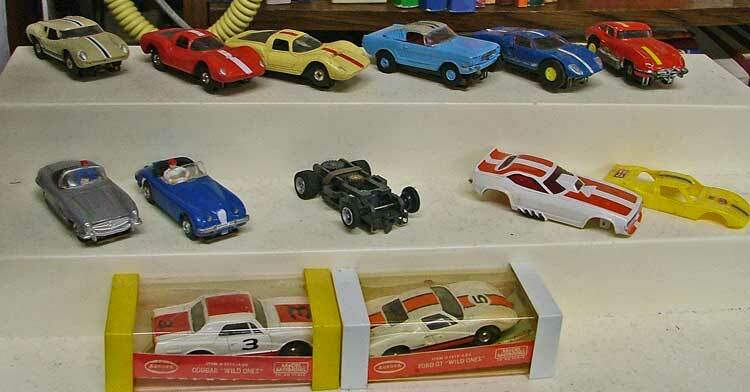 Stop by the store and take a peek at these very collectible slot cars. Yep, we’re here (decorating for the holidays) and we’ll be watchin’ for ya!